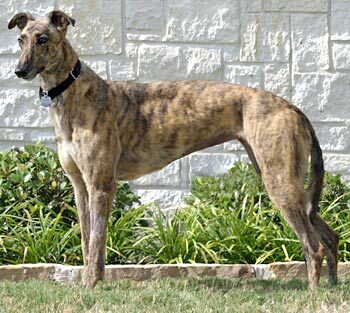 Carmen, aka RZ Carmen, is a gorgeous 3-year-old brindle female, born August 1, 2006. Her sire is Dodgem By Design, making her grand sire the late famous Gable Dodge, and her dam is GALT’s own Rooftop Pinny. 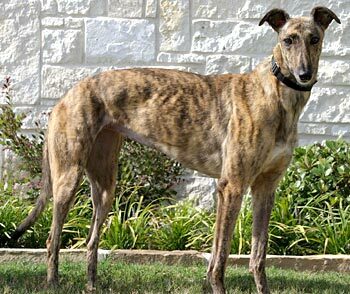 Carmen is full sibling to Ironman, Mo, Tess, and El Dorado, and half-sibling to Custer, Sweetie, and Hot Rod. 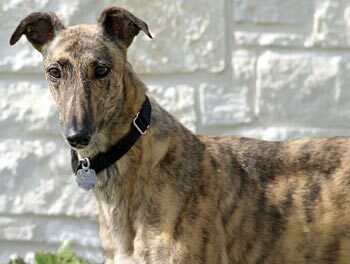 GALT is thrilled to have Carmen join her siblings in GALT’s family. Carmens cat test: Carmen is not recommended for a house with kitties. She was very interested and did not back down at all. No snapping or growling with the Kitties but wayyyy too interested and not scared of the tough boy. She did well with the pug but I didnt trust her completely, I only took the muzzle off when they were all on the leash.